Olive oil is an integral part of Italian cuisine. It’s a favorite cooking oil. It’s excellent for making sauces. It’s made it’s way onto salads as well. 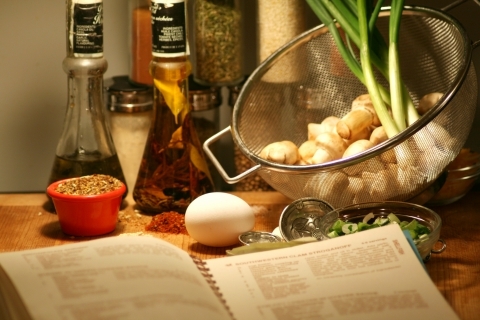 It’s a known fact that olive oil and Italian cooking go hand in hand. But what are all of the different olive oils out there? Why are there so many olive oils in the supermarket that we can choose from? What’s the difference between extra-virgin olive oils, virgin olive oils, cold-pressed olive oils, extra-light olive oils, pure olive oils, and infused olive oils? Let’s take a look. Extra-virgin olive oil is premium-quality olive oil. 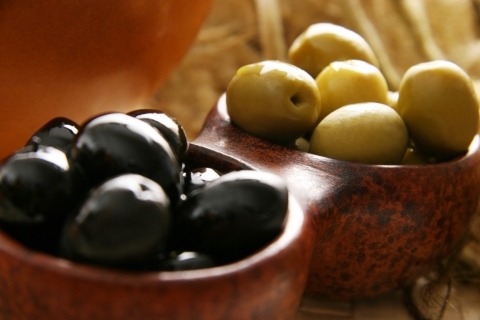 To attain extra-virgin olive oil, olives are pressed and oil is extracted. Extra-virgin olive oil is unrefined. Meaning that it was derived from the olive fruit without the use of chemical or temperature treatments. In addition, extra-virgin olive oil cannot contain more than one percent oleic acid by volume. Extra-virgin olive oil is valued for its excellent olive-like taste and its purity. You’ll note that extra-virgin olive oil is ever-so-slightly green in hue. Similar in quality and processing, virgin olive oil is the next rung down from extra-virgin olive oil. Virgin olive oil is slightly lighter in coloration than extra-virgin olive oil. It is still unrefined. In addition, there is a higher concentration of oleic acid in virgin olive oil, and the flavoring is considered less intense. Cold-pressed olive oil is a reference to the process used in generating the oil. Unrefined olive oils are cold pressed; which is to say that unrefined olive oils are derived from olives that are pressed at temperatures lower than 81.9 degrees Fahrenheit. Again, unrefined olive oils, like cold-pressed olive oils, are more pure, and have a better flavor. Pure olive oil is derived through heat processing. Olives are heated as they’re pressed to extract more oil. Pure olive oil has less of an olive taste to it, so it may be a better option for those who are looking for some of the health benefits of olive oil, yet don’t like the olive taste. Similar to pure olive oil, extra-light olive oil is even lighter on the olive flavor. This oil, like pure olive oil, is a refined olive oil; and it is derived through heat pressing. If you’re looking to cook with an extra-smooth flavor that’s free from taste, extra-light olive oil may be the way to go. Now, there are hundreds of infused olive oils out on the market. Olive oil can be infused with any number of flavors in order to kick your cooking up a notch. Garlic-infused olive oil is one of the most popular infused oils, because garlic and olive oil tend to pair well (especially in Italian cuisine!). Other infused olive oils include chili olive oil, lemon olive oil, herb olive oil, truffle olive oil, and much more. In short, olive oil has staked a major claim in the world of cooking; and it’s close to our hearts here in the world of Italian cuisine. If you’re looking for a bit of olive oil in your diet, come on over the La Cucina, your Italian eatery right here in Conshohocken!